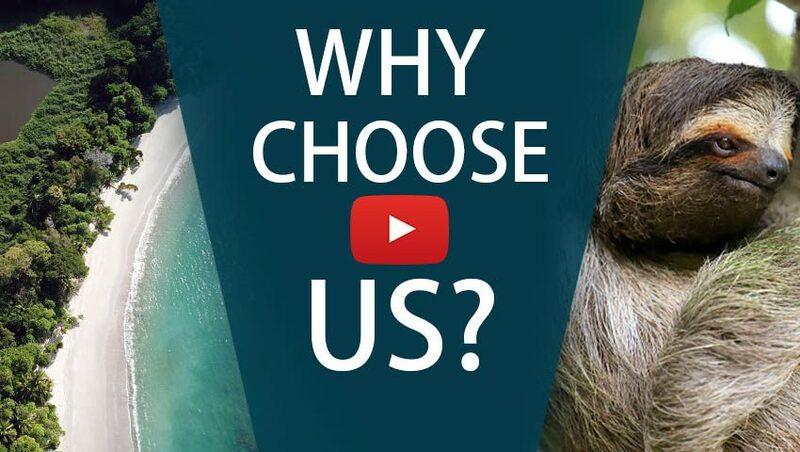 Luxury Vacation Package with a Conscience. Take advantage of the green season special and get this extravagant eco-friendly vacation for less! Stay in three of the finest boutique hotels in the country and experience the natural riches of Costa Rica like you never have before. This custom vacation package will really spoil those who want to explore Costa Rican nature and yet still experience incredible service and amenities. You will start up in the cloud forest of the Central Valley where you will enjoy magnificent views over San José from the comfort of your mountainside hotel. From here a short transfer will take you down the Central Pacific coast to the sunny beaches of Manuel Antonio. Famous for its national park, monkey sightings, and tours, the area offers a wide array of activities. Snorkeling, kayaking, diving, or just relaxing by the pool of your luxury hotel are only a few. 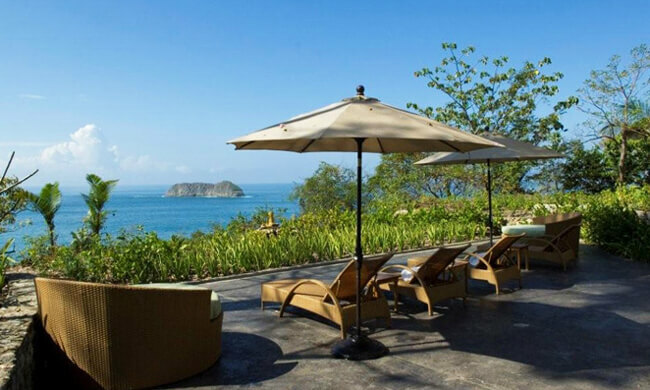 From Manuel Antonio, we go south again to the incredible Osa Peninsula. Home to countless animal and plant species, this is a truly amazing part of the world. Even better, you get to experience it from Copa de Arbol, an eco-chic, meal-inclusive hotel which brings luxury right into the heart of the jungle. This is truly an amazing vacation package! Arrive in San José for your Costa Rica vacation, where one of our representatives will meet you and take you to your private transfer. 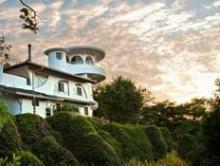 From there, travel to the Central Valley mountains where you will stay at Finca Rosa Blanca. Enjoy your afternoon walking along the gardens and paths, or lounging by the pool as you take in the beauty of the Central Valley. A private transfer will take you to Manuel Antonio where you will be staying at the eco-friendly Arenas del Mar Beach & Nature Resort. 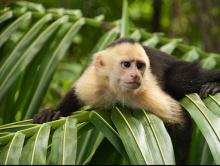 Visit the stunning Manuel Antonio National Park—one of the country’s most magnificent natural reserves. See animals, exotic plants, and some of the most pristine beaches in Costa Rica as a knowledgeable guide shares interesting facts and points out things you would miss on you own. 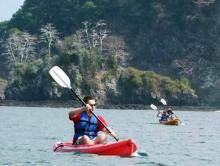 Kayak along the coast of Manuel Antonio as you take in the beauty of the rock formations and tropical surroundings. Then go snorkeling to discover the wonders that lay under the sea! Relax by the pool in Arenas del Mar or head down to the private beach. Be sure to relish in the delicious snacks served at the beachfront restaurant. A private transfer will take you to the Osa Peninsula where you will stay at the magnificent Copa de Arbol. 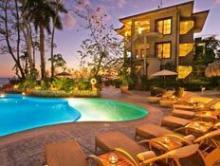 Enjoy exquisite meals and luxurious amenities at this very private beachfront resort. Discover the hiking trails around the property, check out the yoga pavilion, or schedule a massage. Explore the unique Corcovado National Park on a guided hike. See wildlife up close and experience one of the richest biodiversities on the planet! Take to the water as you go snorkeling at the impressive Caño Island where you will see a variety of tropical fish and sea creatures in the crystal clear waters. Fly back to San José where you will catch your flight back home. Experience a taste of Costa Rica—either literally—in a coffee cup or on a dining plate, or figuratively—the lush life of its tropical surroundings. This boutique hotel is a perfect getaway for travel connoisseurs! Paddle along the beautiful waters of the Pacific as you find the perfect spot to get out of your boat and explore the wonders of the ocean with your snorkel.